The Music Conservatory of Westchester in White Plains presents the second event in its new Musical Masters lecture series for adult music lovers on Sunday, March 31st, 2019 at 2pm. Take a musical voyage to enjoy “Brazilian Jazz: From Samba to American Standards” presented by Artistic Director of Tarrytown’s Jazz Forum and Brazilian Jazz expert Mark Morganelli. Discover the cross-fertilization between Brazilian music, illustrating the genres of bossa nova, samba, and toada, and American Jazz influences, accompanied by Morganelli’s latest recorded work, Brasil! 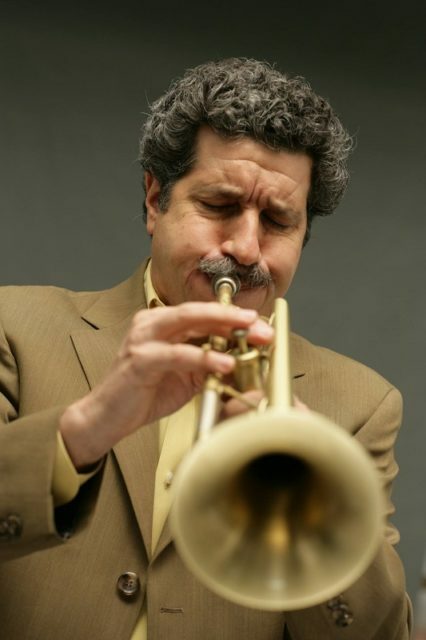 Lecture attendees will also be treated to a live musical performance by trumpeter/flugelhornist Morganelli demonstrating the unconventional, “new wave” rhythms that continue to move music lovers around the world. Compositions by Brazilian Jazz greats Antonio Carlos Jobim, Luiz Bonfa, Claudio Roditi, and Marcos Valle will be played and woven into the vibrant discussion. With more than 30 years of masterful experience with Brazilian Jazz bands, recordings, and performances with international jazz legends, Morganelli’s passion for this unique musical sound extends into this exclusive presentation. Following this exhilarating musical experience will be “Musical Storytelling: The Poetry behind Piano Masterpieces” with acclaimed concert pianist Andrew Armstrong on April 28th, and “Film Music: Groundbreaking Director/Composer Collaborations” with Peabody Award-winning Broadcaster & Producer and WQXR radio host Elliott Forrest on May 19th. These exclusive events are not to be missed! All Musical Masters lecture series events will take place at the Music Conservatory of Westchester, 216 Central Avenue, White Plains, NY 10606. Tickets for individual lectures are $25 each, available for purchase online at http://www.musicconservatory.org/mcw-events. Trumpeter/Flugelhornist Mark Morganelli began presenting concerts in his first Jazz Forum loft at 50 Cooper Square in June 1979. The second Jazz Forum loft closed its doors in April 1983 with recordings, videos, films and radio broadcasts of documented performances by Dizzy Gillespie, Art Blakey, Wynton Marsalis, Woody Shaw, Red Rodney, Carmen McRae, Barry Harris, Philly Joe Jones and Max Roach. After residencies at the Village Gate and Entermedia Theater, thirty-four years ago, Morganelli established Jazz Forum Arts, a not-for-profit arts presenting organization, and in 1985 started the Riverside Park Arts Festival, which concluded on its 13th anniversary in August 1997. He has produced over sixty CDs, most for Candid Records, twenty of which were recorded “Live” at NYC’s Birdland club, where he was the music coordinator for five years. He inaugurated the Jazz at the Music Hall series in Tarrytown and performed at the 1976 Montreux Jazz Festival, the 1992 & 1994 Syracuse Jazz Festivals, the Du Maurier Downtown Toronto Jazz Festival, JVC/NY and Saratoga Jazz Festivals, the White Plains Jazz Fest, several tours of Italy, many concerts and festivals around Europe, Japan, Brazil and the Caribbean, and hosted nightly jam sessions aboard the QE2 to the Newport Jazz Festival from 1996-99. He continues to perform with his Jazz Forum All-Stars and Brazil project around the region and recently released “Brasil!” a Double-CD and his fifth recording as leader. He and his wife, Ellen Prior opened their new Jazz Forum club in Tarrytown, NY in June 2017, presenting Jazz and Brazilian music every weekend.